Moving plates aound never moves the cloth. While you are eating moving dishes and glasses around never moves the tablecloth. This perfect for my patio table. I have bought this product in many colors. It fits perfectly on my round glass table. I order in different colors for all holidays. I love this red one for Valentine's day. Product is durable and Easy to clean. Ordered two tablecloth s. Red for the kitchen and blue for deck table. Look clean and cheerful. Easy to clean. I gave this product a 1 star rating the first time by mistake. I actually rate it a 5 star. Only table cover I will use. Love the fit and durability. I have purchased this product before and have been pleased. I use on my table on my back porch; looks nice, wipes off, but don't think it can be machine washed. Not my first purchase of a table cover. Went from round table to rectangular. Very happy with both of them. First one sent arrived with the plastic bag cut and the tablecloth underneath it also cut. The company did replace it. Unfortunately, I have order elastic table clothes in the same size and they fit my table perfectly but, this one did not fit, it was way to big. I am very disappointed!!! I have purchased these elastic table cloths before and loved them but when this one arrived I was SHOCKED that the patter on the tablecloth so SO BIG at 1 inch by 1 inch it's just REALLY UGLY!!! The previous table cloths I purchased, one of which is still on my table is nice and the pattern is only 1/4 inch by 1/4 inch a nice small patter not so SHOCKING AND IN YOUR FACE!!! Had the same one in beige for many years. Someone in my family tore it so I am replacing it. Color is not an issue since it gets covered by a tablecloth. I used it as a protector and it works. I like the style for my round wooden oak table. I love the elasticized tablecloths. 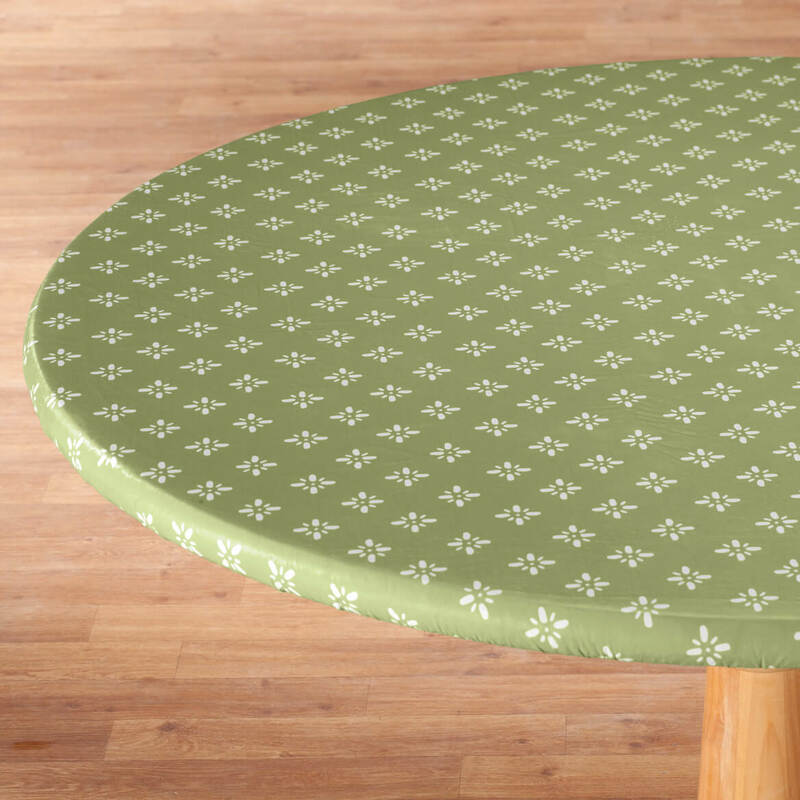 Great for my round picnic table. Replacing it! Have been buying these for years for ranch breakfast table. Like the elastic. Stays on the table. Doesn't slide out of place. Size. 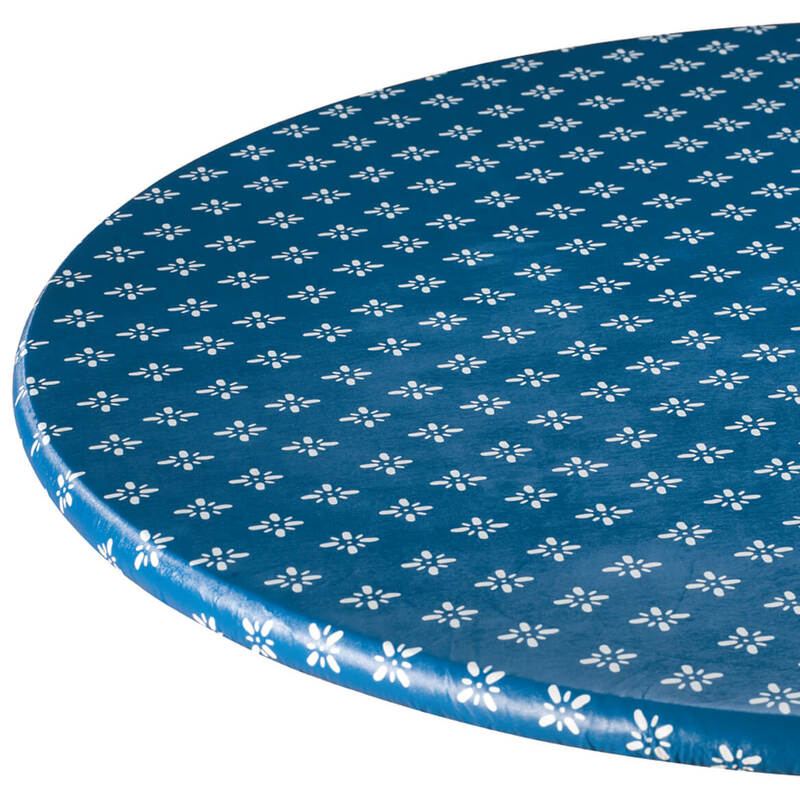 Hard to find round elasticized table covers to fit a 50" table. same answer as before; trying to coordinate colors I was already using. Need a red cover and like this product have another color of it which I purchased previously from MK. I ordered a blue one because I liked it. All my decoration is in navy blue! bought this before and liked it. You offered the color I wanted and the price was right. Need it for a glass table. Using Red as a main color on patio, love the table cloths. We need a cover for a slightly rusty outdoor table. Good products and good prices. Delivery on time. Pleased with prior purchases of these. Will look nice for Christmas. 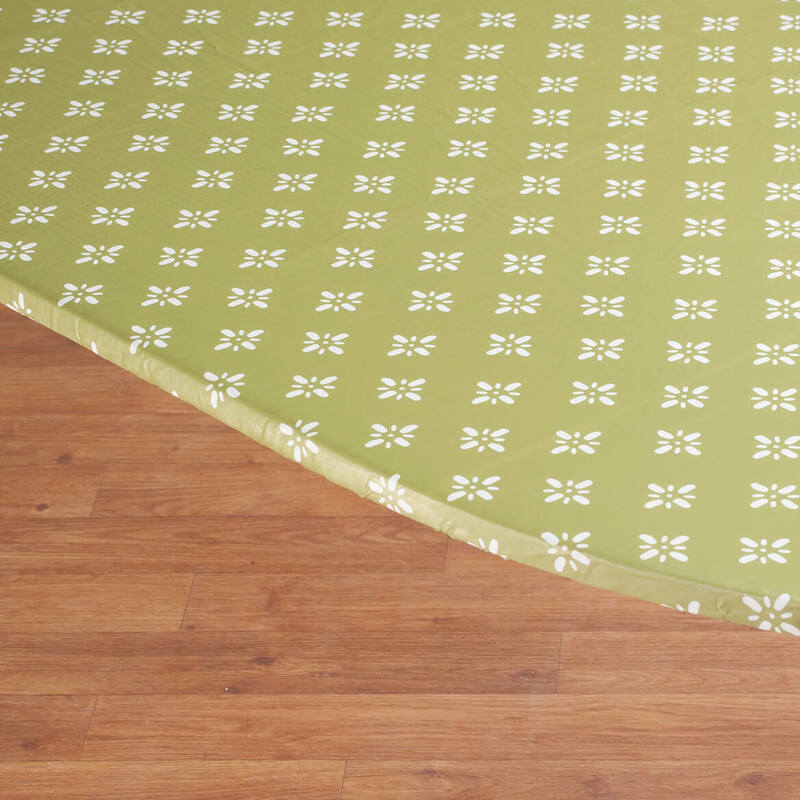 I have used these tablecloths for years and I love them. My table looks like new underneath the vinyl cloth. Long table cloths get pulled as they hang down too long for everyday use. I have one already and needed a smaller size for another table. Love it. Table Cover is perfect for our lifestyle! 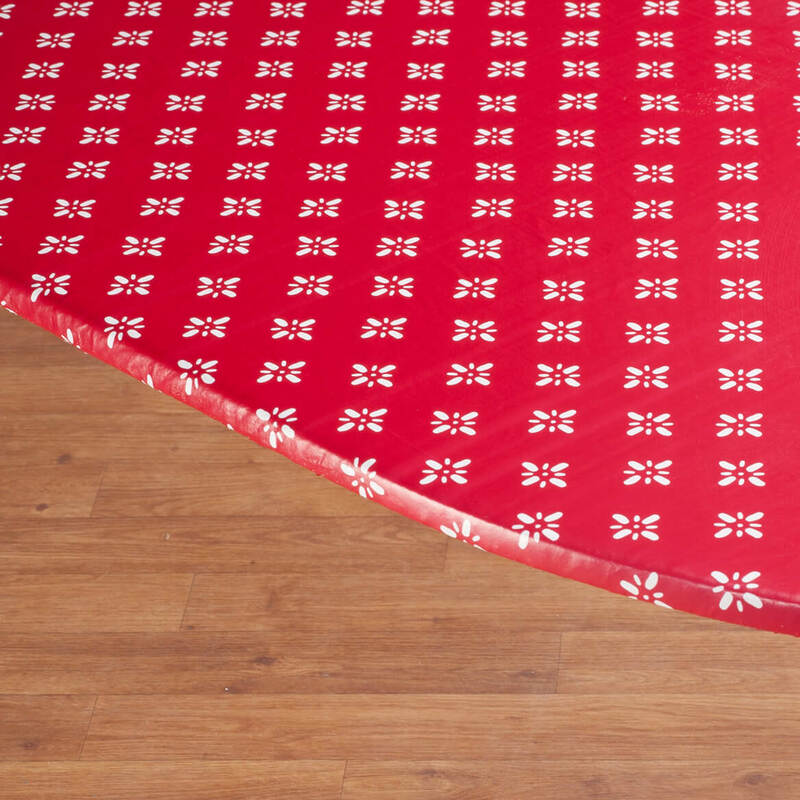 In ordering the Heritage Vinyl Elasticized Table Cover, the color bright red is hard to find in different patterns. The sale price is a good buy when replacing three (3) table covers at the same time. 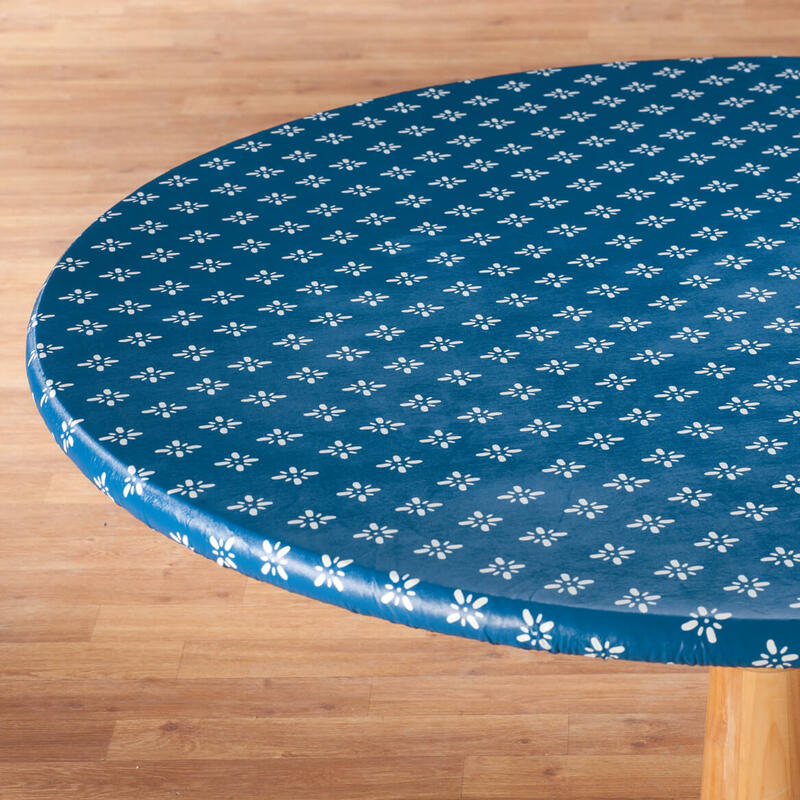 do the tablecloths fit oblong or square small breakfast tables? 33Lby24W? Do you have anything close to this size?Is it full elastic around the cloth? BEST ANSWER: Thank you for your question. The covers will only fit a round table or an oval/oblong. They will not fit a square table. It the 33" x 24" table is oblong, the cover will not fit properly as there will be alot of access material. We hope this information will be of help to you. 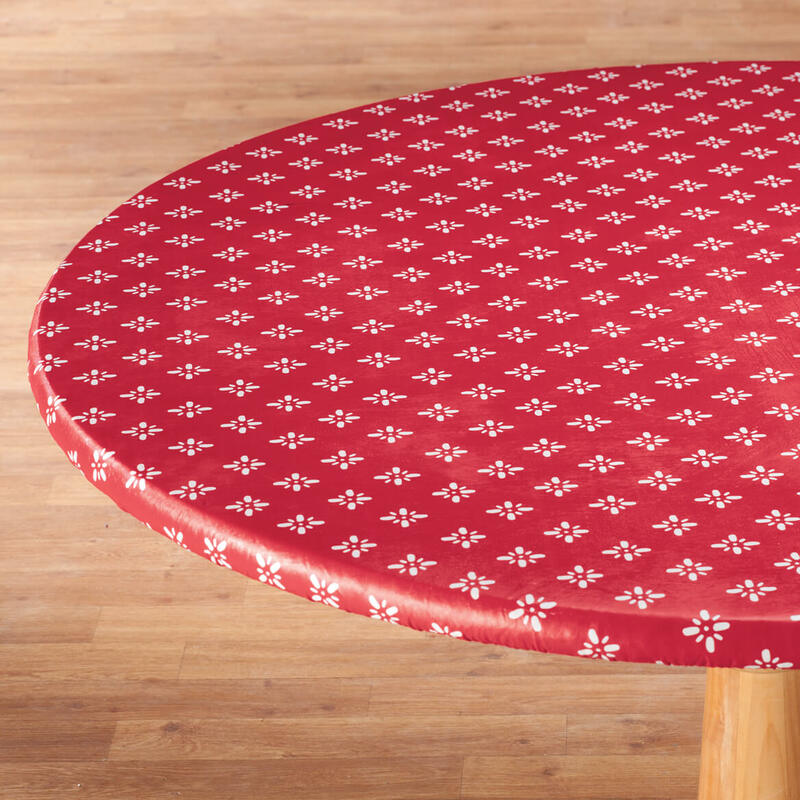 are the round red vinyl tablecloths in stock yet ? BEST ANSWER: Thank you for your question. The red round table covers will be back in stock on 2/13/17. We hope this information will be of help to you. What size table does it fit? BEST ANSWER: Thank you for your question. 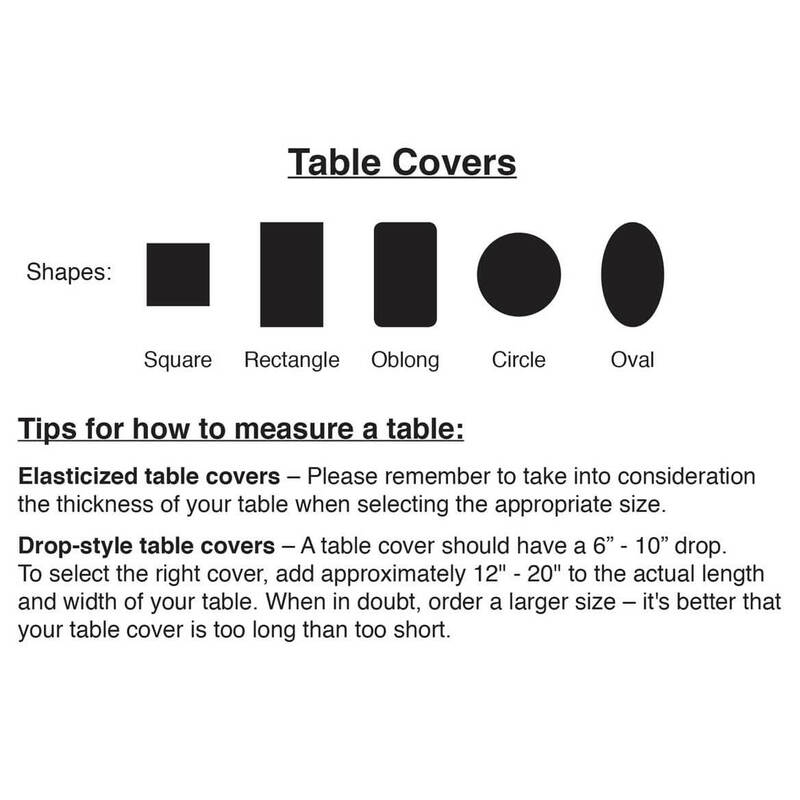 The sizing choices are not the size of the table cover but the size table it fits. We hope this information will be of help to you. my table is 42 inches wide by 72 inches long by 2 inches deep, will the elastic on these go over the edge? BEST ANSWER: Thank you for your question. Your table is too big for this table cover. We hope this information will be of help to you. 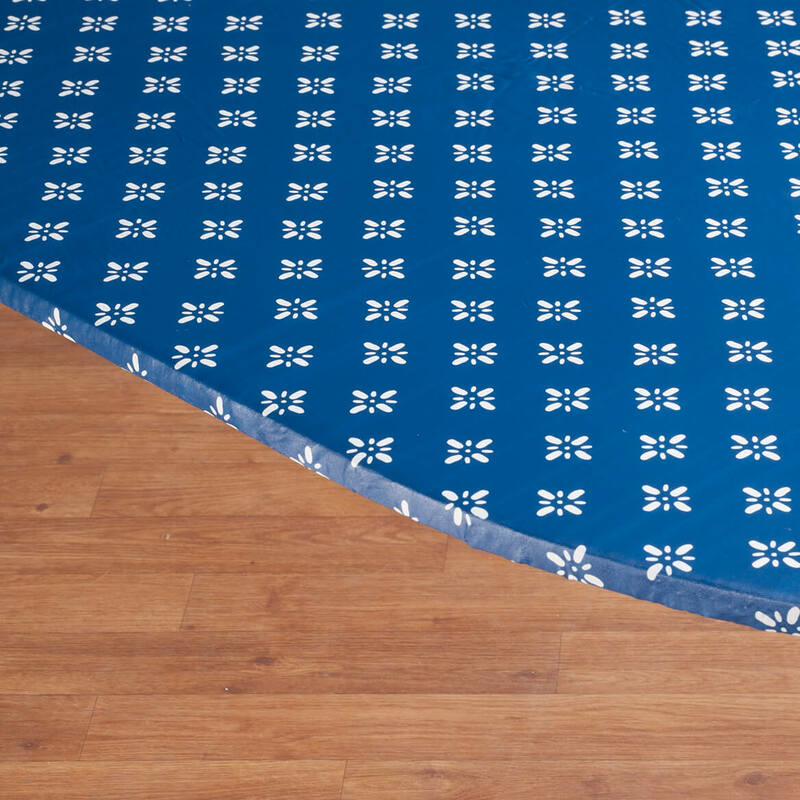 Do you have elastic tablecloths 60inches round? BEST ANSWER: Thank you for your question. This does not fit a 60" table. We hope this information will be of help to you.